Gu Se method is to use of astringent or styptic treatment for convergence of body fluid, essence qi. This method is mainly used for spontaneous perspiration, night sweat, chronic cough, diarrhea, urinary incontinence, metrorrhagia and metrostaxis. It is applied to deficiency of Yang Qi, spontaneous perspiration. 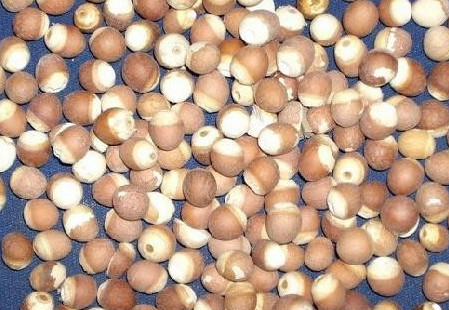 Common drugs such as Huang Qi, Mu Li, Ma Huang Gen, Fu Xiao Mai, etc. , consumed and hurt qi and body fluid, resulting indyspnea, spontaneous perspiration, rapid but weak pulse. Common drugs such as Ren Shen, Wu Wei Zi, Wu Mei, Ying Su Qiao and so on. Representative such as the Prescription of Jiuxian San. Suitable for prolonged diarrhea, pathogenic factor is dying, internal organs are of deficiency cold, intestinal tract is not solid, resulting in stool olisthe. If the disease pertains to spleen-kidney Yang deficiency, lower part of the body cannot be secured, the Prescription of Taohua Tang, the Prescription of Zhenren Yangzang Tang .If heat and dampness remain in the body, yin qi is hurt, The Prescription of Zhu Che Wan is preferred. Applies to kidney deficiency and essence qi, or cold and weak on lower bpdy, kidney Qi deficiency, dysfunction of bladder, spermatorrhea, frequent micturition. Common drugs such as sha yuan ji li, qian shi, lian xu, long gu, mu li, sang piao xiao, etc. Representatives are the Prescription of Jinsuo Gujing Wan and the Prescription of Sangpiaoxiao San. For woman flooding, morbid leucorrhea illness, etc. Prescriptions should be made depending on different syndromes. Flooding should match drugs of nourishing yin and supplementing blood; For the Prescription of Gujing Wan in treatment of Yin deficiency and blooding, is nourishing and restraining.